This expansive showroom is situated in the up-and-coming neighborhood of Centrale. 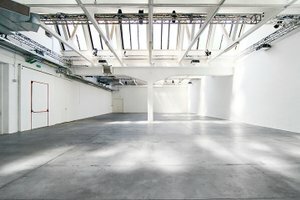 This expansive space is perfect for a Product Launch, Fashion Showroom, or Late-Night Event. 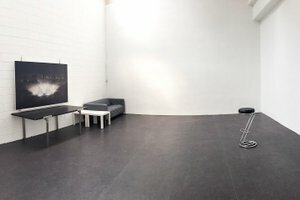 The space has a modern style and large skylight throughout the main room, giving it plenty of natural light and a brilliant atmosphere. 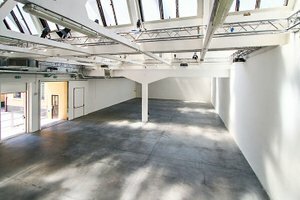 With a large main room, wardrobe, direction space, mezzanine, stock room, meeting room as well as an exterior space, this space is extensive and can meet many different needs. The interior of the main room is made up of white walls, track lighting, a ceiling pillar and concrete floors. 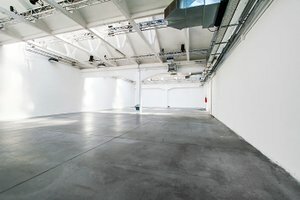 This space can accommodate a variety of showrooms and events with extensive facilities including furniture, office equipment, and sound and video equipment. 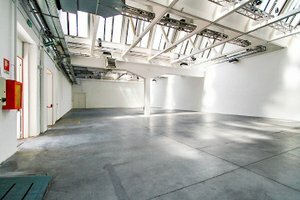 Advantageously situated in the Ticinese neighborhood close to Milano Centrale Railway Station, this space is in an easily accessible location. It is a great opportunity for brands and designers to host an exciting event.